Summer is just around the corner—if it isn't here already. You know what that means: It's time to hit the beach, go hiking, and kill the boredom with outdoor activities. As fun as these activities sound though, you do have to take precautions as the season also brings with it a host of health-related problems. And we're not alone in giving you this warning. The Department of Health (DOH) is on it too. According to DOH Caraga Regional Director Dr. Jose Llacuna, summer increases the risk of skin diseases, sun burn, flu, stomach ailments, sore eyes, and rabies. Dr. Llacuna explained that skin diseases are usually a result of being in contact with contaminated pool water. "Take a bath before and after plunging into the pool and avoid urinating [in the pool]," he advised. Dr. Llacuna also asked that we avoid sun exposure between 10 a.m. to 2:00 p.m. The sun's rays are the strongest during these hours. Not doing so will result to painful, painful sunburn. Sustained exposure to the sun during this season at the mentioned hours will not do your chances of avoiding skin cancer any good. 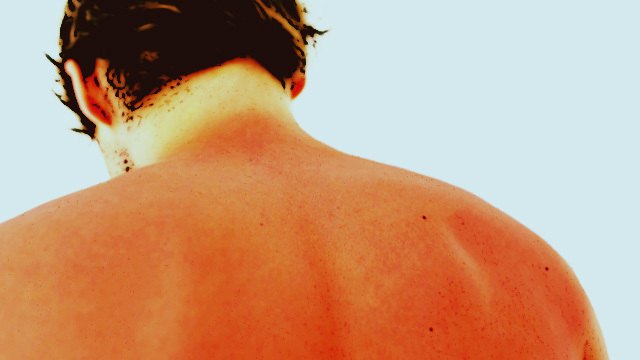 If you really, really must go under the sun, make sure to lather up with SPF—even when you're not in the beach. Stomach flu is also a common enemy this time of the year. The reason: food spoils faster because of the warm temperature, providing a tender, homey breeding ground for microorganisms that your body will truly hate. The DOH specifically warned that we should take extra care in consuming street food, which is typically prepared in the open air where contaminants roam. "Vomiting and diarrhea follow consumption of contaminated food and drinks. Check for food labels and integrity of processed foods to avoid stomach ailments," Dr. Llacuna added. There's a saying that goes "Malayo sa bituka," which implies that if an ailment is situated far from the tummy, you'll be just fine. That's not so true, said Lacuna. The health specialist encouraged the public to be wary against sore eyes this time of the year. You're out and about, hence increasing the chances that you touch an infected surface. The solution, according to Lacuna: "Proper handwashing is very important to prevent it from spreading." Lastly, rabies infections from dog or cat bites also soar during this season. There's a good reason for that. People and pets spend more time outdoors, logically increasing the chance of contact with an infected animal. Bats, another known carrier of the virus, also see an increase in activity. They can also pass on the virus to your four-legged friends. To protect yourself and your pet, make sure that they are vaccinated. In case of you're bitten, seek medical attention immediately.